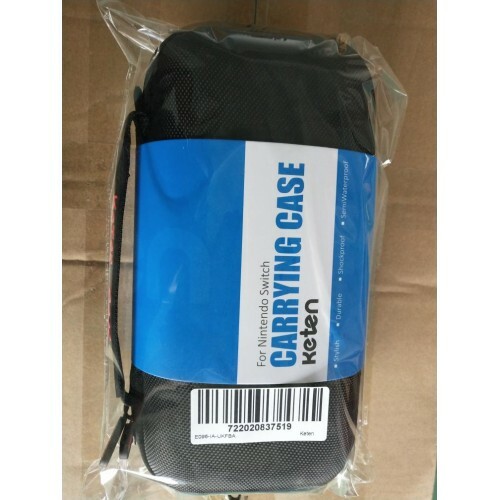 Nintendo Switch Case – Keten Hard Portable Travel Carrying Case with Large Pouch for Switch Console, AC Adapter, Joycon Grip, 19 Game and Other Switch Accessories . 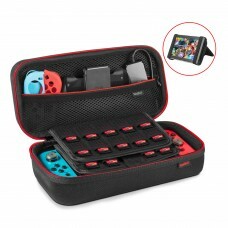 NINTENDO SWITCH CASE: Specially designed for Nintendo Switch. Not only protects your Switch, but also makes it more portable and travel friendly. 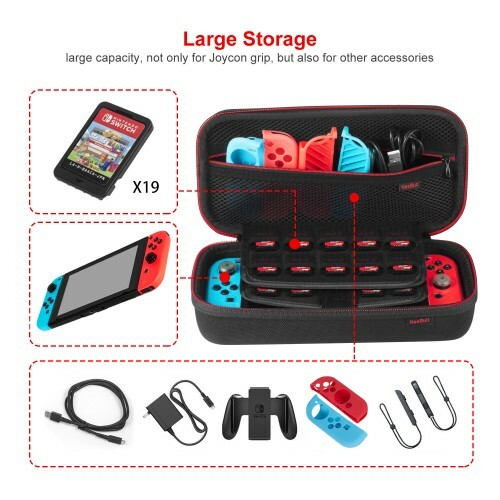 LARGE STORAGE DESIGN: Snug fits Switch console and 19 game cartridges. 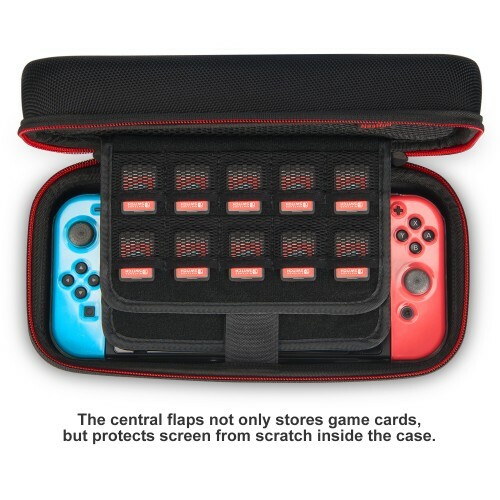 A zippered large mesh pocket provides storage room for power adapter, Joycon grip, and other smaller but essential accessories. 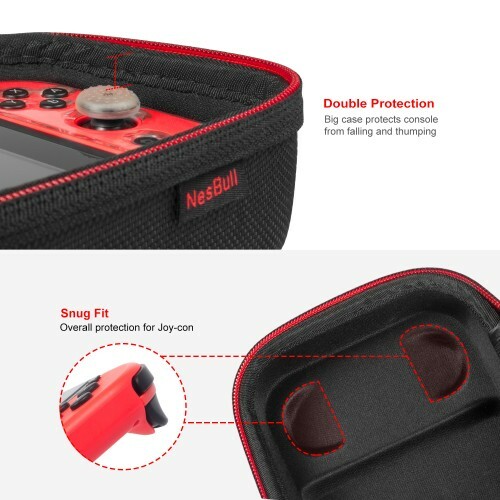 EXCELLENT PROTECTION: High quality EVA material and strong construction keep Nintendo Switch safe from accidental bumps, scratches, and drops while in case. 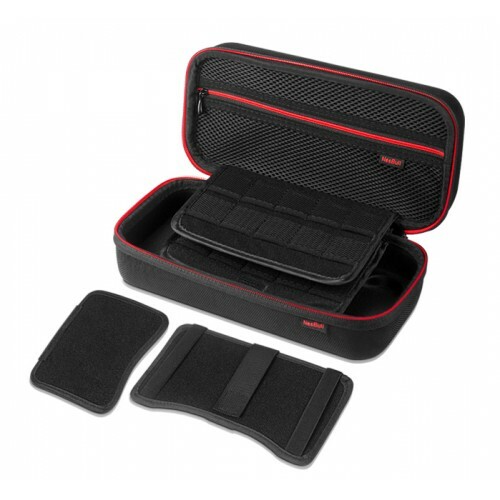 With Velcro strip to ensure the Switch console in place and a mesh pocket with zipper keeps the accessories in order. 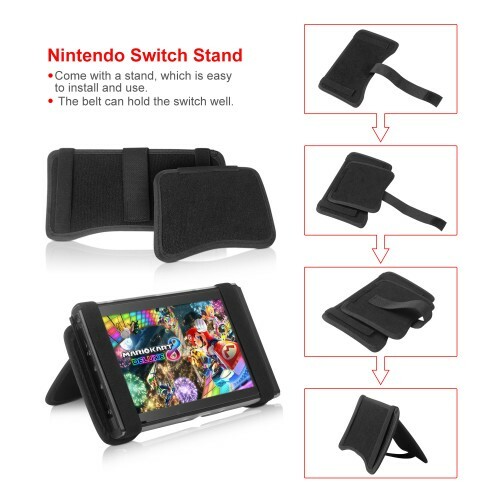 NINTENDO SWITCH STAND: Come with a stand which is adjustable for different angles，which provides gaming experience. 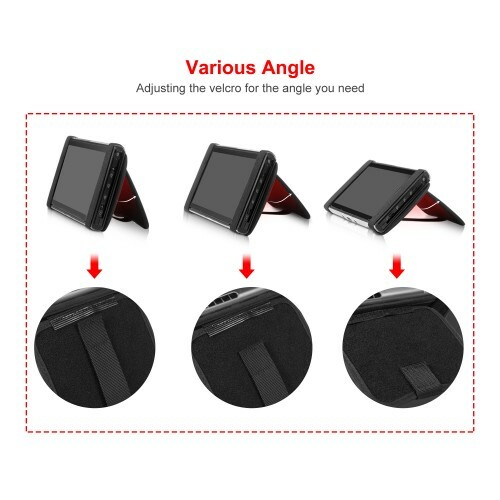 Easy to use ( Please refer to the product image).